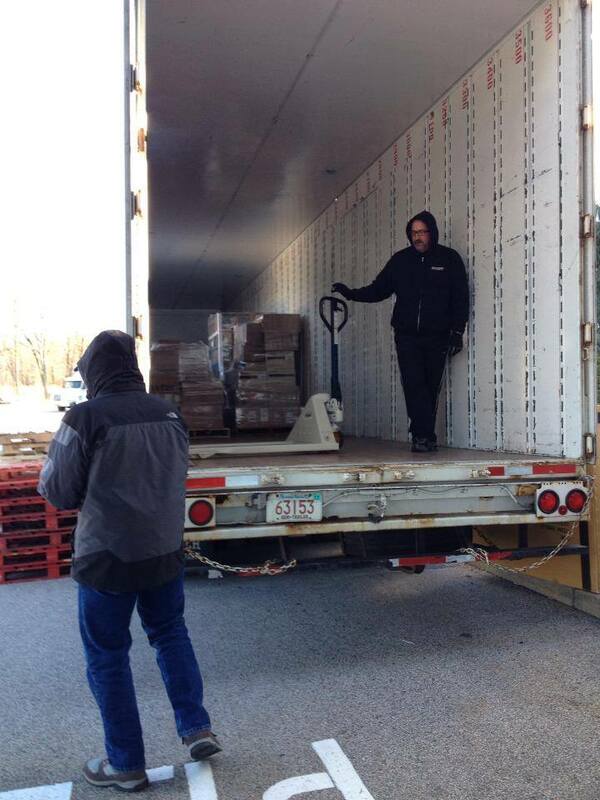 Bristol Plymouth Moving and Storage Inc.
Cameron, left, and Collin Mosher help load a truck with bottled water bound for the Philippines. It is a surprise every time, Peter and Diana Mosher said. Every time they ask for help, people are more generous than they expect. 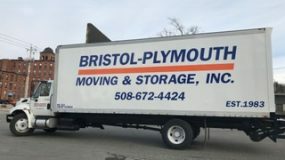 The Moshers, of Somerset, are the owners of Bristol-Plymouth Moving and Storage Inc., 105 Weaver St., Fall River. They were out in the cold from 7 a.m. to noon Sunday with their three sons, a half-dozen volunteers from their company and another dozen from Cardi’s Furniture, 1 Furniture Way. They started work when the temperature was in the teens and a dry biting wind was whipping out of the west. But no one had time to get cold, Diana Mosher said. “We have been busy all morning,” she said. “People are bringing in bottled water, diapers and energy bars. 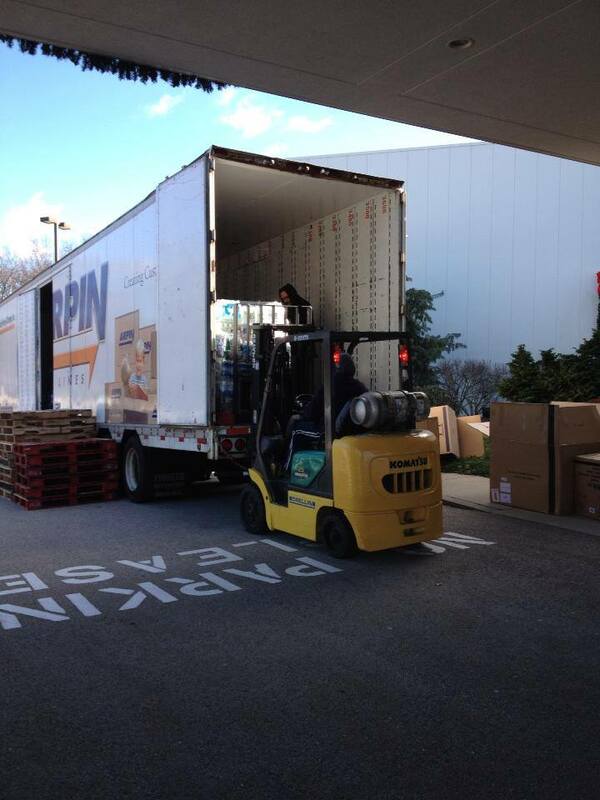 We asked for those items because they are the most nonperishable and they are easy to ship. The Mosher’s company is an Arpin affiliate, so they teamed with Cardi’s Furniture for the effort, Diana Mosher said. “We’ve worked with Arpin several times in the past,” said Pete Cardi, one of the Cardi’s Furniture owners. He was also out in the cold Sunday morning, lifting cases of bottled water from car trunks to place them in a waiting Arpin moving truck. “We worked together for Katrina relief, for Oklahoma and for Haiti,” Cardi said. “People are really responding to this effort. 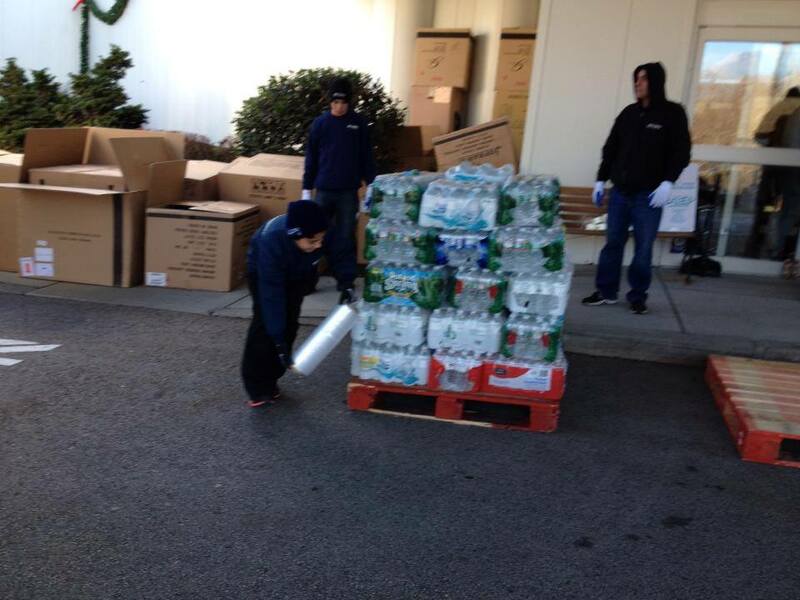 “We have had people bringing goods in all week. I’m sure we will have donations all day. Peter Mosher agreed. He stood at the end of a long Arpin truck, working with his sons, Collin, 11, Cameron, 12, and Owen, 15, and their friend, Andrew Farias, 15, as they packed goods into the truck for shipping. He stopped for a moment to look at his sons, bundled against the cold, working steadily. He smiled. “It is good for them to see that there is more to life than video games and money,” he said. Arpin and Cardi’s Furniture repeated the effort at the Cardi’s locations in West Warwick, South Attleboro, Braintree and Middletown. “If you want to donate money, you can still do it from the Cardi’s website,” Diana Mosher said. 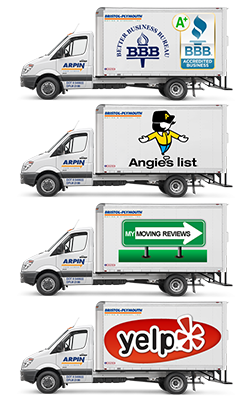 Bristol-Plymouth Moving & Storage, Inc has remained committed to providing uncompromising service and customer care at affordable rates. 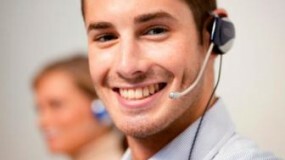 Our goal is to uphold our extremely high standards throughout the entire relocation process.